Here for OUR titan DEVELOPERS TOOL? 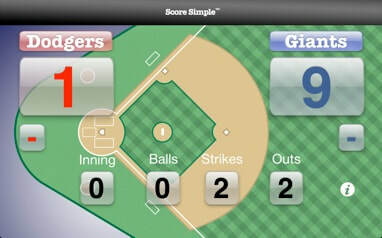 KEEP SCORE WITH OUR SCORE SIMPLE APP! We are here to help people do great things, like build applications that can get to business data at blazing speeds, or use apps to organize our digital world and make great impressions on people. We like to have fun too, so we help people keep score at their kid's games, and we wrote a silly book about golf and gardening. We hope there is something here that can help you do great things, if not, please tell us what you need. The Titan Database Interface - Back in 1996 we needed to get at some data stored in a Btrieve database and there were not good tools out there to do that. We wrote our own tools that were lightning fast and developers found out about them. We soon made them available, and developers around the world have been using them ever since. We just released support for the very latest XE Versions, so visit the Titan page and learn more about it. Score Simple - Our kids played sports and sometimes we had to keep score. There's nothing worse than being at a volleyball game and the kids keeping score are texting and missing important points. We wrote an app called Score Simple that allows parents to keep score and share it with others who could not attend the game. More importantly, the app is so simple that parents can actually watch their kids play, rather than have their heads buried keeping stats. Gardening For Golfers - Sometimes the world takes itself too seriously, especially golfers. This book was written to prove that not everything a developer types is code. It may also prove that not everything a developer writes is funny, but we'll leave that up to you.